Grass is sometimes greener, especially when on a turf-clad terrace overlooking The Avenue. Breathtaking white. Each cabinet was customized to maximize storage along two walls. 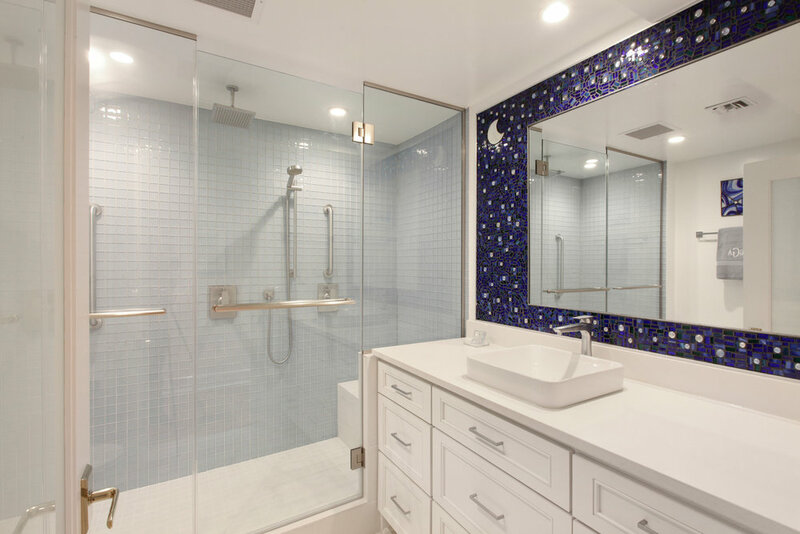 A giant walk-in shower and vanity (not shown) allows the most thorough cleans and primping possible. Designed around a large mosaic his wife made, the starlit bath feels larger than it actually is.